This material is definietly having a big come back! Velours are in for AW2010/11! 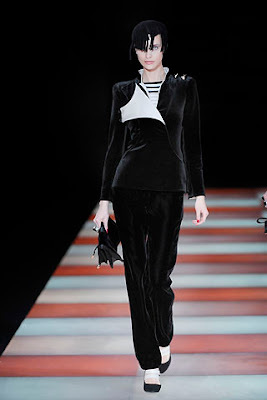 Here are some examples from Marc Jacobs, Dolce and Gabbana and Armani shows.